A few weeks ago Piranha replied to my request for a gi to review and within a few days I had gi in hand. I didn’t have many questions for Bill but each email was responded to promptly and if this feedback is any indication Bill places a high priority on the needs of his customers. The gi came with a very detailed pamphlet on washing and taking care of your new purchase. While this may be redundant for many of you reading this, it’s a great addition for this product’s target audience, the neophyte grappler. [social][/social][bjjad][/bjjad]Since it didn’t make sense to design and manufacture stuff for just a couple of people or limit it to our work-out partners, we took the big plunge and by 2004 we had a business. 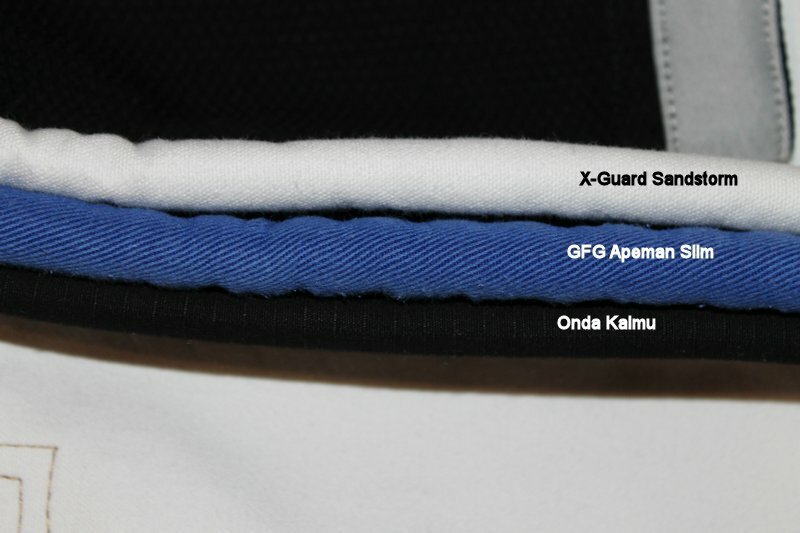 Our first product was a white single-weave Jiu-Jitsu Kimono. In the first month, we sold 3 on eBay under the seller name “Jiu-Jitsu-Style” and we were thrilled! After technique work I did a few rounds of rolling in the gi. The overall size and length of the gi did work against me somewhat while rolling. On the plus side, I did manage to hit an Ezekiel choke from the bottom that I would never have been able to get in any other gi. While rolling the gi seemed to hold up well. While rolling and drilling I never noticed the elastic pants, as either good or bad. The drawstring made sure that they were tight enough and they didn’t loosen up. To be honest, I was more worried about having to pull them up. When I had them pulled up enough to not touch the mats, I looked like Erkel. 🙂 Several of my partners were thoroughly entertained. I did notice a little stretching and my partner stopped once because he thought he heard a rip in my pants (I couldn’t find anything wrong after class).